World Design Consortium is interested in design of Eco Sustainable Projects, Environment Friendly Designs, Bio-degradable Products and similar projects for interested parties. Please kindly contact WDC for Sustainable Products, Projects and Green Design consultancy, tenders, jobs, offers and requests. Below, displaying an award winning project by IL/18510414. 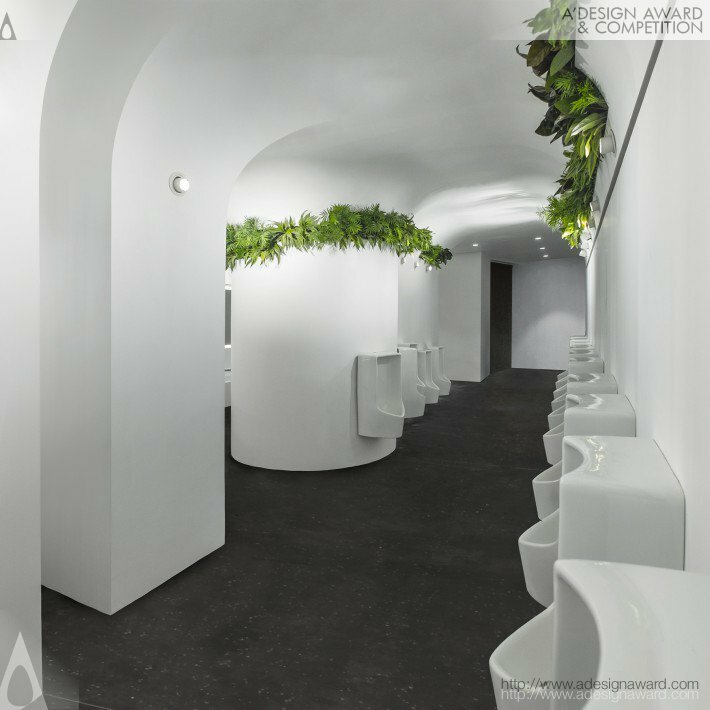 A bright grotto–a contemporary abstraction of nature–is the design concept for this underground washroom. 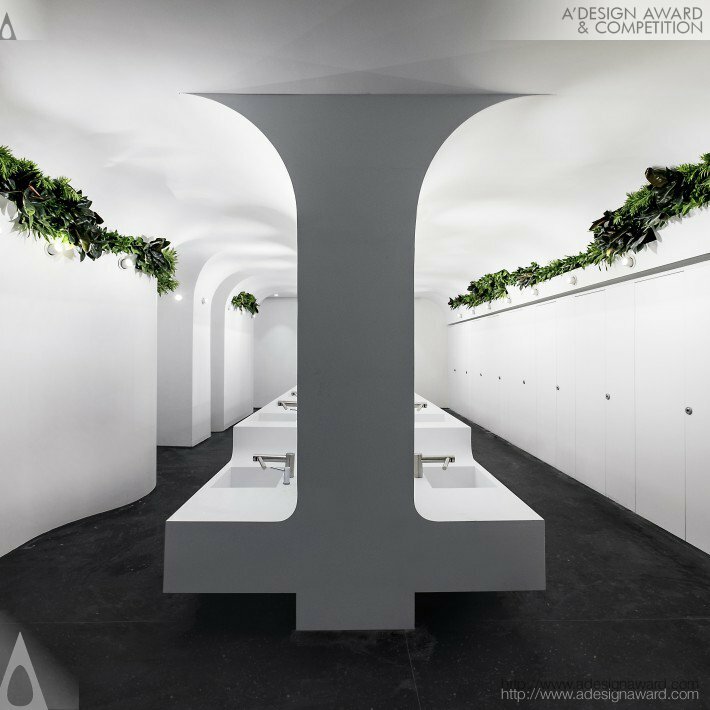 Sustainability, spatial sculpting, human comfort drive the design. The grotto retains the original layout, uncovers two round, tilted square columns to form a unique white mass; seamless curve surfaces diffuse light and omit dirty edges. Plants, irrigated by filtered greywater, purify the air, add life and colors. The original sandstones are crushed as gold aggregates of the new terrazzo floor. 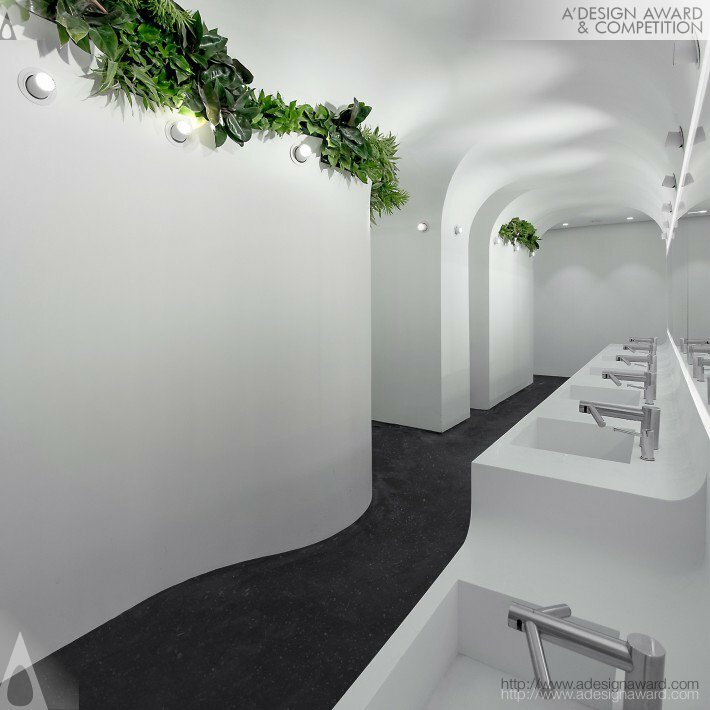 Integrated tap-hand dryer, waterless urinal and toilet largely reduce water-use and waste. 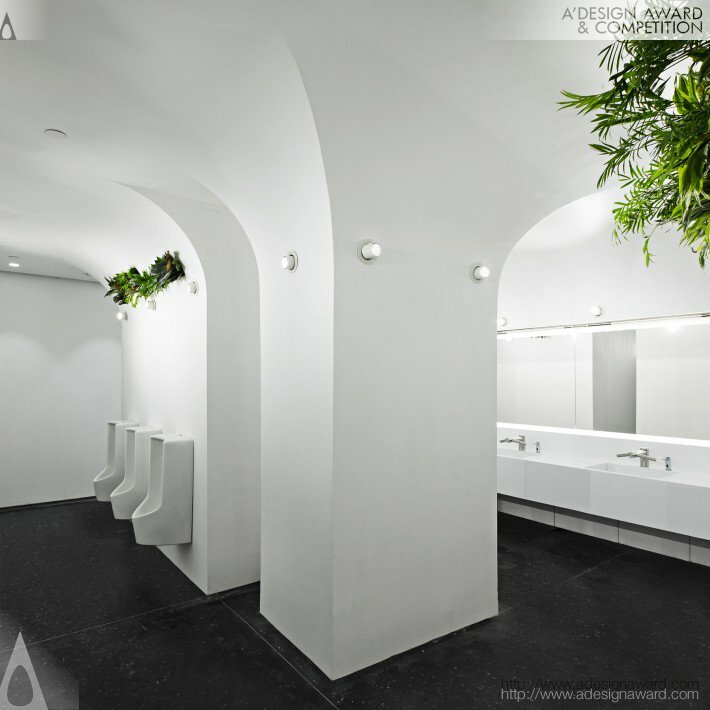 If you wish to have a very good washroom design, please contact our secretariat and indicate that you wish to work with IL/18510414 for your washroom project. We will process your request immediately and forward your requirements to IL/18510414. 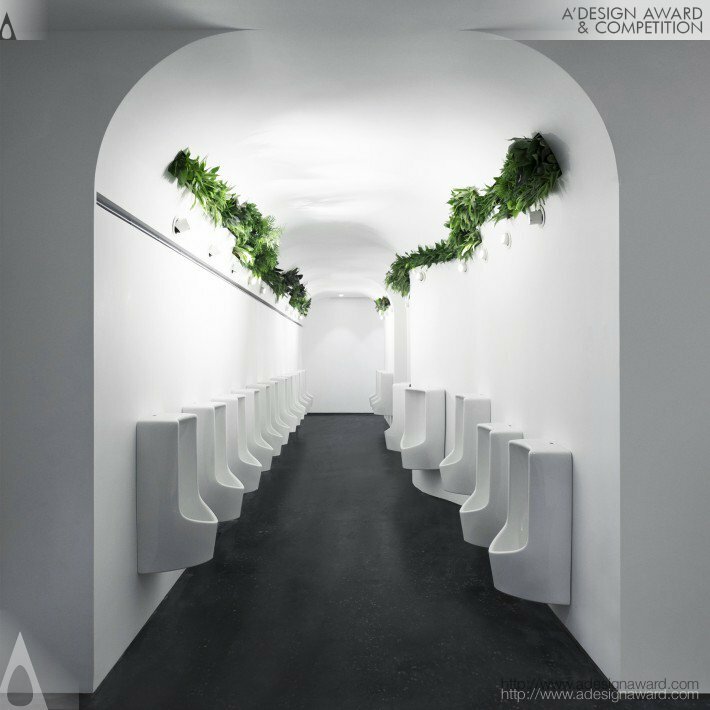 Request Consultancy for washroom design by IL/18510414.